As amazing as Sonos’ dedicated CR200 home theater controller is, the company just keeps giving us more and more great alternatives to buying it. Besides being able to control your music from an iPhone, iPod, Mac or PC, the now the company has set its eyes on even bigger turf with an iPad-specific app scheduled for August. The new app will take advantage of the iPad’s generous screen with a multi-pane view that fits more information on the screen at once. For instance, a list of different zones, the album artwork for the song now playing, a queue of upcoming songs and a list of different music sources are all a fingertip away. According to Sonos, you’ll be able to drag and drop songs from your library directly into the queue, and the apps will support both landscape and portrait modes. 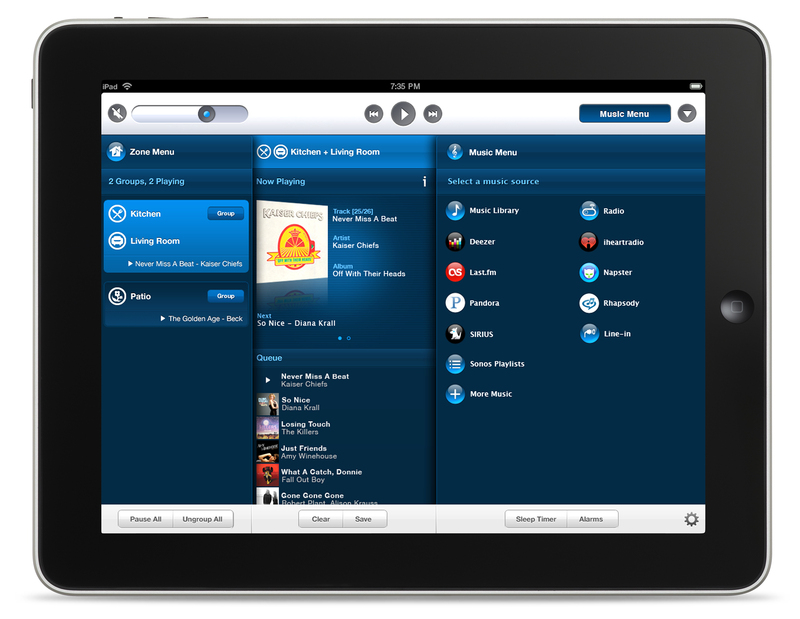 Like the iPhone and iPod Touch apps, the iPad app will be available as free download from the iTunes store when Sonos launches it in late August. Check it out in action below.